The main story in Athens this offseason hasn’t been 5 Star quarterback Justin Fields battling incumbent Jake Fromm. Not the arrival of the first number 1 recruiting class somewhere other than Tuscaloosa in seven years. 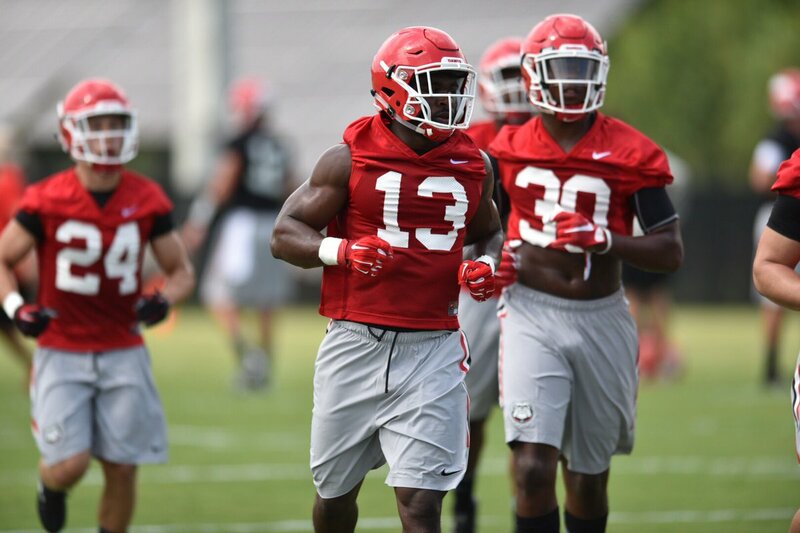 It hasn’t even been Elijah Holyfield’s biceps (even though it should be). The thought on the minds of everyone from radio hosts to ESPN personalities is: How in the heck does Georgia replace all the production lost from last season’s historic team? Luckily for Georgia, due to being forced to play multiple freshman the past two years, the Dawgs return a good deal of experience. Who is going to step up and fill the shoes of all the greats Georgia lost? Their names may not be as unfamiliar as you’d think. Gone – Roquan Smith: Georgia’s leading tackler and arguably the best defensive player in the country. 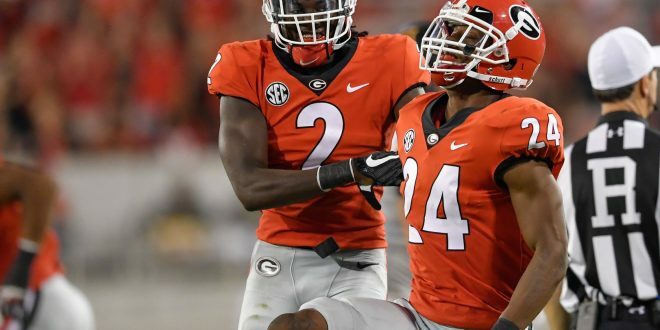 The new guy – Natrez Patrick: Ok, maybe not so “new”, Patrick is a guy Georgia fans are familiar with. A starter for much of the last two seasons, the inside linebacker faced legal problems that forced him to miss Georgia’s playoff run. Now back with the team, Patrick will be looked upon to fill the void left by Roquan Smith and Reggie Carter. Standing 6’3 and weighing in at 234 lbs, Patrick is the ideal size for an inside linebacker. The rising senior has totaled 116 tackles in his career, including 9.5 tackles for a loss. 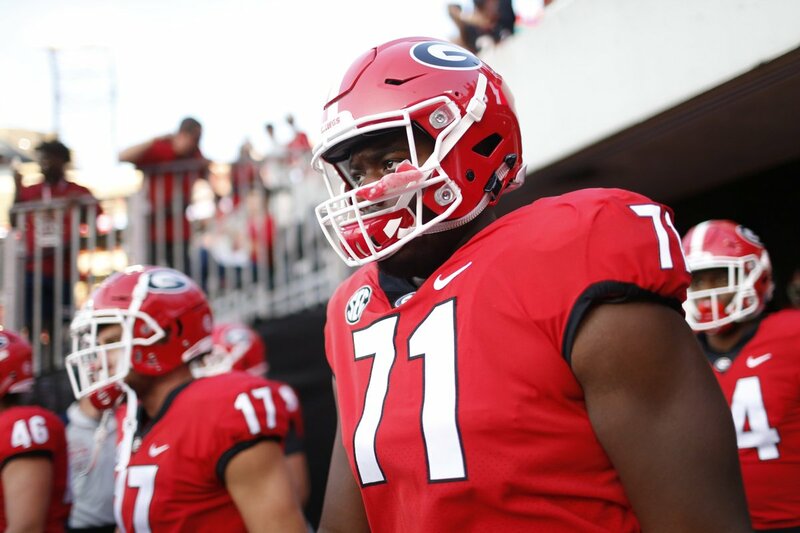 Gone – Lorenzo Carter/Davin Bellamy: Bookends of Kirby Smart’s defense, the pair of edge-rushers combined for 16 TFL including 9.5 sacks in 2017. The new guys – D’Andre Walker/Walter Grant: Walker, a rising senior, had an excellent year in 2017. Playing in the shadows of Carter and Bellamy, Walker had more sacks (5.5) and TFL (13.5) than both. A nasty pass-rusher, he’s just as ferocious in the run game. Grant was a quality sub in 2017, and made a big impact in big games during his freshman campaign. Though his .5 sack total may not show it, Grant was tough to deal with off the edge. Quite the accomplishment for a freshman in the SEC. 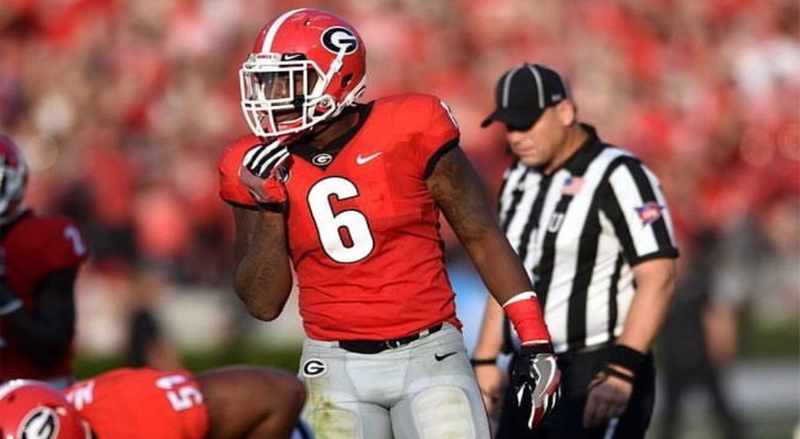 Gone – Dominick Sanders: The four-year starter finished as Georgia’s all-time leader in interception return yards and tied for first in total interceptions (16). Though fans will always remember Sanders for the final play of the National Championship, he should be remembered as an exceptional safety who will be missed. The new guys: Richard LeCounte III/Jarvis Wilson: This will be an interesting competition to watch. Wilson is more of the prototypical safety, while LeCounte is a freak athlete who punishes anyone he comes across. With J.R. Reed locking up one of the safety spots, Georgia is in a good place with Wilson and LeCounte. Gone – Malcolm Parrish: A starting corner, Parrish was an absolute thumper in the run game. The new guy – Mark Webb: This time last year, Webb was playing receiver. Now, the 6’2, 200 pounder is getting reps at first team corner in the spring. Big and fast is what Kirby Smart and Mel Tucker want out of their corners, and Webb fits the bill. He’ll have to hold off the competition though, as Georgia’s secondary remains a bit of a mystery. Gone – John Atkins/Trenton Thompson: Two huge pieces of Georgia’s 6th ranked defense. Atkins was Georgia’s best interior defensive lineman, while Thompson was a hyper-talented recruit that showed flashes during his 3 years at the school. The new guys – Julian Rochester/Tyler Clark/Jay Hayes: Rochester and Clark aren’t spring chickens. Both started games in 2017, and were impact players. Now they will be asked to lead the new group, and step up as leaders. The pair of rising juniors combined for 4.5 sacks and 8.5 tackles for a loss in 2017. Grad Transfer Jay Hayes (6-5, 290) out of Notre Dame was a huge get for Smart. The Brooklyn native recorded 7 tackles against the Dawgs in Georgia’s epic week 2 win over the Irish. Gone – Isaiah Wynn: Even at 6’2 and just a hair over 300 pounds, Wynn is projected as a late 1st round pick. The starting left tackle for all 15 of Georgia’s historic games last season, Wynn was the rock on which coach Sam Pittman built his line. The new guys – Isaiah Wilson/Cade Mays: With Wynn’s departure, Andrew Thomas will slide over to left tackle. That will leave his vacated right tackle spot up for grabs. That leaves the battle to two former 5-star recruits in Wilson and Mays. Wilson is a giant, but was redshirted in 2017. Hailing from New York, some thought Wilson withered under the intense Georgia heat prior to last season. Now, in better shape, the 6’7 350lb mountain is ready to claim his spot. Standing in his way in early-enrollee Cade Mays. At 6’5 318lbs, Mays is not a small dude. The Knoxville native has already received praise from coaches and players alike for his preparedness. Gone – Nick Chubb: The number 2 rusher in the history of the SEC, Chubb was an all-timer for the Dawgs. You can’t replicate Chubb’s impact on the program, but luckily Georgia isn’t hurting for running backs. The new guy – Elijah Holyfield: If anyone can attempt to duplicate Chubb’s bruising style of running, it’s Holyfield. The rising junior didn’t get a ton of looks in 2017, but he took advantage of the touches he received, averaging 5.9 ypc. Gone – Sony Michel: The second member of the most prolific rushing duo in college football history, Michel was often overshadowed by Chubb in his early years. That wasn’t the case this past year. The Chubb/Michel combo was deadly. What Georgia will miss most is Michel’s ability to be a dynamic receiving threat out of the backfield. The new guy – D’Andre Swift: Living up to his last name, the freshman averaged an insane 7.6 ypc on 81 touches. Replacing Michel’s multifaceted talents is going to be tough, but the fact Swift led all running backs in receptions last season is a good sign. An early Heisman candidate, Swift is next in the line of great Georgia backs. Gone – Javon Wims: Jake Fromm’s “Get out of Jail free” card. Wims, a former basketball player, is a 50/50 Ball monster. Whenever the freshman quarterback was in trouble, the ball was headed to Wims. His 45 receptions, 720 yards, and 7 touchdowns all led the team. The new guy – Riley Ridley: When Javon Wims went down in the National Championship it wasn’t Terry Godwin who Fromm turned to. It was Riley Ridley. The sophomore hauled in 6 receptions for 82 yards. If teams think they can bracket Godwin and leave Ridley 1-on-1, they’re in for a rude awakening. Gone – Cameron Nizialek: You may scoff at a punter having big shoes to fill, but Nizialek was a huge pick up for Georgia prior to last season. The grad transfer from Columbia averaged 45 yards per punt (43.6 net), good for 9th nationally and 4th in the SEC. The new guy – Marshall Long: Georgia’s starting punter in 2016, long was sidelined after a dislocated knee prior to the 2017 season. When Nizialek won the job, Long took a redshirt. He will face some competition, as the nation’s number 1 punter Jake Camarda is on his way. Expect one of these two to be the day 1 starter. Though they may not be needed much against Austin Peay. Of all the “new guys” only one is a true freshman. Georgia lost a ton of great players, but the amount of returning experience can’t be understated.